Several years ago we bought 2 free-standing hanging racks. They were for our daughters who were both living in accommodation that had no built-in wardrobes. Fast-forward a few years and their circumstances changed and the hanging racks both ended up at our place. One was boxed up in the garage and after a while I sold it on Gumtree. The other was quite useful as I had it in the spare bedroom/sewing room. 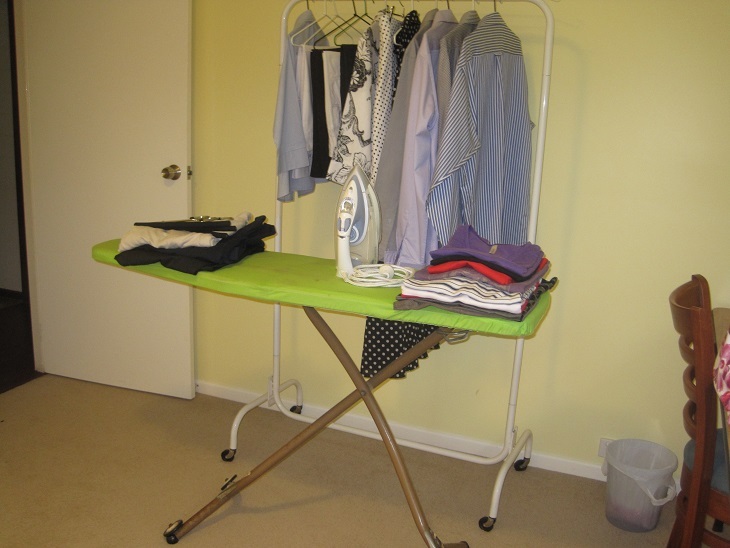 I also use it to hang clothes waiting to be ironed or wheel it into the lounge-room to dry clothes in front of the fire during winter. 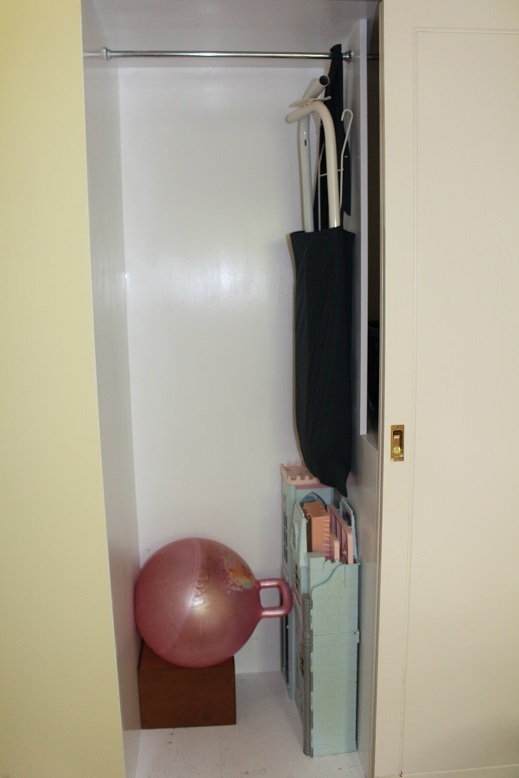 I am working hard to streamline my sewing room and reduce the general clutter. When I sold the small chest of drawers that had previously lived in the wardrobe it meant that I could use the hanging rail in the wardrobe for the ironing that was yet to be done. 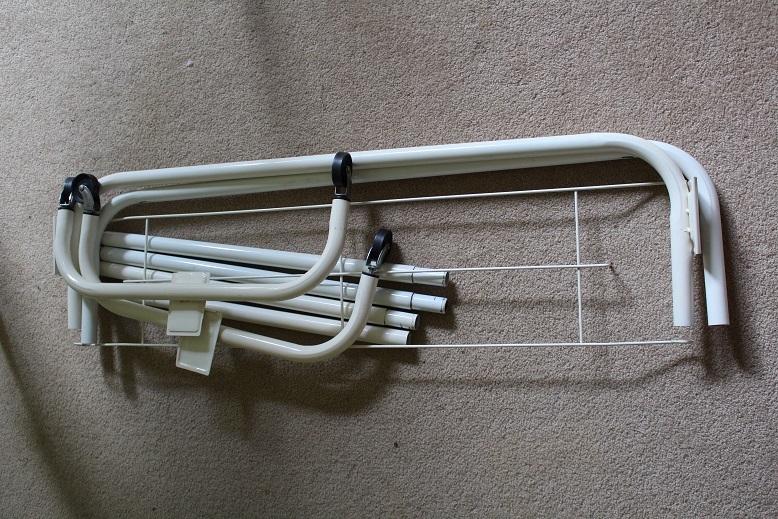 The hanging rack can be dismantled but it is difficult to store. I am not ready to part with it yet as it is useful during the winter months. I decided to make a storage bag. I found some pieces of very strong cotton fabric in my stash and fashioned a bag which was big enough to hold all of the pieces. 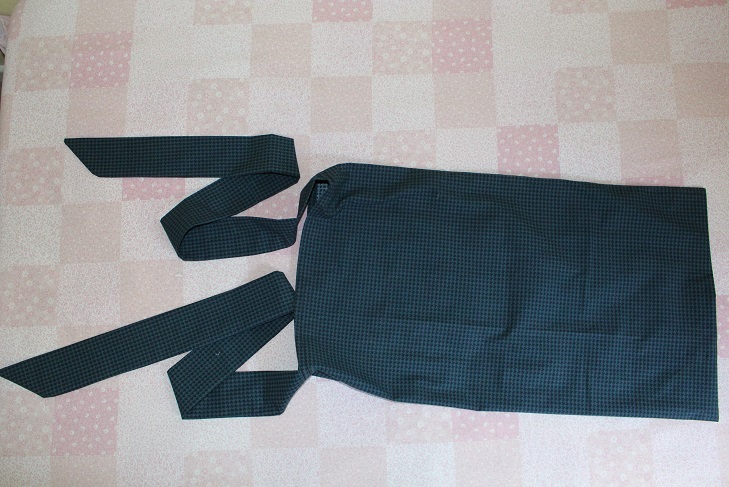 I added a couple of ties and it was finished. 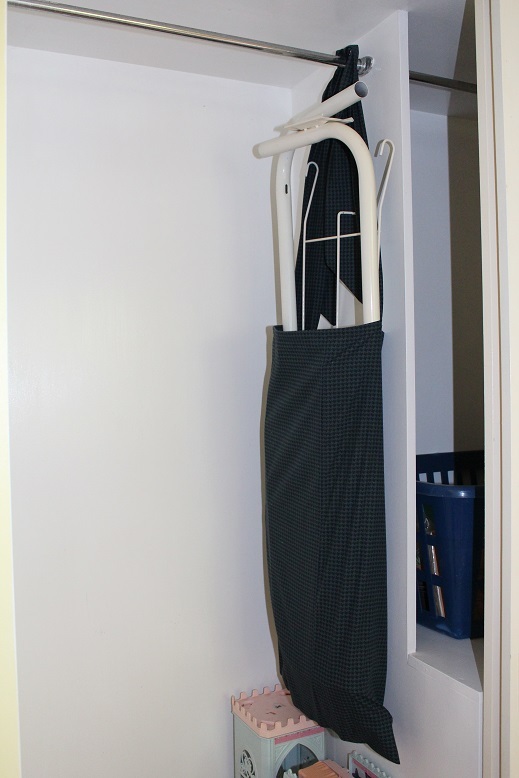 Here are a couple of photos showing the finished article doing its job – holding the disassembled hanging rack. I simply tied the ties in a knot over the rail at the desired length. Now I am off to do some more sorting in the sewing room. Have you got any creative storage solutions? Please share.